Although Seth and I had flown to California for one of his friend’s weddings, we’d decided to make an extended weekend trip out of it, and Seth was most excited about the opportunity to climb Mt. Baldy – one of the top three most challenging hikes in California according to SoCal Hiker. Though naturally gifted in a number of areas, athleticism is not one of my strengths, so I’d spent much of the week leading up to the trip worrying about how I was going to keep up with Seth on the mountain. We’d agreed to hike Mt. Baldy on Day Two of our trip, so that first night in California (staying in the shady Knight’s Inn, as you may recall), Seth asked me what time I wanted to start hiking in the morning. “I thought we could leave here around 8,” I told him, proud of myself for suggesting such an early time. “I wake up about 4:30,” he told me. But he quickly suggested we “sleep in” and leave at 8. After all (he acknowledged), it had been a long day of travel. So the next morning, we each packed up our suitcases, threw them in the back of our rented Jeep, and drove into the foothills of the Angeles National Forest. For the first time that trip, Seth’s lack of planning came in handy (from my perspective at least). We couldn’t find the trail head for Mt. Baldy/Mt. San Antonio, much less the Adventure Center where we were supposed to be able to get maps and parking passes for the hike. We eventually had to pull to the side of the road and ask a stranger for directions, and his guidance led us to a Visitor’s Center that – according to the posted sign – was supposed to be open but was closed. At this vacant Visitor’s Center nestled into the treeline of the quaint mountain town, we ran into two different men who were each looking to buy Adventure Passes in preparation for their planned hikes up Icehouse Canyon – a hike I’d had my eye on weeks earlier as one that was more scenic and less strenuous than Mt. Baldy. Fortunately, these two male hikers told the very same thing to Seth, who seemed more willing to take hiking advice from fellow adventurers than from his over-planning, athletically-challenged girlfriend. The hiker dudes were able to direct us to the Icehouse Canyon trailhead so, unable to find where to go to hike Mt. Baldy, Seth suggested we just hike Icehouse Canyon instead. I enthusiastically agreed. It turned out to be a beautiful hike and a perfect day. The temperature stayed in the 60s and 70s most of the hike, even as we rose in elevation. We made several new acquaintences along the way, and Seth was excited and impressed when I spotted some mule deer on the trail. I had packed some protein bars, so we ate those for lunch around hour three of our six-hour hike. At some point, we lost the trail and ended up hiking up a dry creek bed, but we almost had more fun that way, walking off the beaten path in the most literal sense of the phrase. The hike was just about the right length and intensity for me, and I think Seth really enjoyed being the trail leader, displaying his masculinity and helping me up when we had to do some serious bouldering in the creek bed to continue along the “trail”. After our hike, we drove in the direction of the wedding location for later that weekend, and we stopped at a Motel 6 where we could again get two cheap, separate rooms. The Motel 6 was much cleaner than the Knight’s Inn, but unfortunately it was also very minimalistic – as in, there was no shampoo or conditioner; just a bar of soap. I hadn’t packed many toiletries because, when I travel, I tend to stay in establishments with those nice little travel-sized shampoos and lotions. So when I raised to Seth that my room didn’t have shampoo, he told me to sit tight and – unbeknownst to me – drove to a nearby dollar store to buy me some dollar store shampoo. What a gentleman. It’s the little things in life that make a girl feel cherished. That night I’d planned for us to go to a fancy steak dinner. In a rare moment of recognition at the office, some of my work got noticed, and I was told to charge up to $150 on my corporate credit card by way of appreciation, so I researched and found a 5-star steakhouse in California where I could treat Seth to a nice night out. He doesn’t let me pay for much (not even the flight or my hotel rooms), so I was glad to be able to contribute financially for once. Saddle Peak Lodge was formerly an old hunting cabin that the owners converted into a gorgeous wedding venue nestled into the forest. It is a rustic but expansive log cabin with heads of deer and elk and bison all along the walls, but – rustic as it is – it also has a romantic elegance to it as well, with twinkle lights draped through the trees and chandeliers hanging from the ceilings. After exploring the expansive grounds, Seth and I enjoyed a delicious meal of wild game as well as a complimentary dessert in celebration of our 6-month anniversary. After what felt like a fairy tale evening, I concluded that life is indeed very good. Some of my favorite days are the cool, blustery days where the golden rays of sun shine down and warm your chilled hands and face even as you snuggle under a cozy, oversized sweatshirt. Serendipitously, I recently learned that there is a word for this phenomenon: apricity – the warmth of the sun on a cold day. I like that word. Apricity. And it’s what I want to be to the world: the warmth of the sun on a cold day. The warmth of the Son on a proverbially cold day. That’s what Jesus came to be – light in the darkness; warmth to the cold. Neither dark nor cold actually exist; they are the absence of light and heat respectively, and Jesus came to freely give all He had to those who had none. Apricity – the warmth of the sun on a cold day. 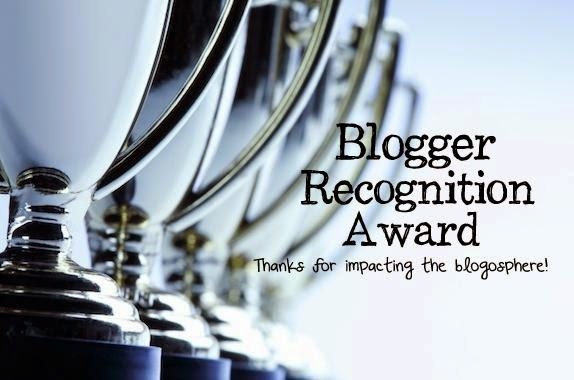 The Sunshine Blogger Award is given to “bloggers who are positive and creatively inspire others in the blogosphere”. …something I aim to do both on this blog and in everyday life! I am honored to have been nominated for this award and gladly accept! Thank you, Little Sunshine, for the nomination! This question makes me think of Rapunzel in “Tangled”. I’ve had a lot of dreams over the years, and I’ve been blessed to see most of them come true. I used to dream of somewhat superficial things – visiting all 7 continents, releasing an original album on iTunes – but now I consider those more of life goals. A dream is something precious and intimate, interwoven into your heart. And these days, my dream is more like a vision – to be a wife and mother, full of life and joy, radiating light into the world and growing more and more into the godly woman I’ve been uniquely created to be. As mentioned in #1, I’ve had a goal for a while of visiting all 7 continents. I’ve been to about 30 countries and 5 continents, all of them wonderful experiences, and a year ago, I would have definitely said that I most want to visit Australia and New Zealand. But Seth is an American through and through; a homebody of a patriot, and we are taking a trip to California later this month, which is about as foreign a trip as this cowboy wants to take. And after imagining exploring California with Seth, there’s no place I’d rather be. Introvert. Definitely. This surprises most people when they first hear it – mostly because I’m a pretty social, outgoing introvert – but my perfect day involves curling up in a quiet little nook with a latte and good book… or finding a secluded park where I can walk and think and listen to music on my earbuds… or staying home to clean and organize my apartment… or sitting alone in the silence to work on my latest art project. Mmm. Perfection. Yep. When I was in 2nd grade, I decided that I wanted to go to West Point and be an engineer. But what we want as sweet, innocent, idealistic 8-year-olds is not always aligned with reality, so although I am living the dream of having an engineering degree and working at a major oil company in Corporate America, I have discovered that the composite of the bureaucracy, politicking, process nazis and inauthenticity of my current workplace comprise something akin to my personal hell. Which is why I am changing careers to teaching… where I can spread my cynicism wisdom to the next generation. My head. Sometimes going with your gut is a great option for quick decisions, but for any decision that allows for more than a few seconds to go with your first instinct, I have found that emotions are subject to the whim and fancy of the day and may not hold up longer-term. I prefer thinking through the logic of various options, examining my intentions, considering the ripple effect of whichever choice I make, and of course consulting God in prayer. That while I was still a sinner, Christ did for me. Even though I am undeserving of being rescued from my sinfulness and total depravity, Jesus willingly took on the punishment I deserve (through his death and resurrection) so that I could be brought into a right relationship with God. Nothing compares with that – no family relationships, no dating relationships, no job or financial success… Without God’s love and mercy and grace, I would be like the walking dead. Finishing my teaching certification. And maybe getting my CHL. What’s your favorite food ever? Which of the places you’ve traveled to inspired you the most, and why? My favorite trip I’ve ever taken was to Germany at Christmastime with my family, but the place I’ve visited that most inspired me would have to be South Sudan, mostly because that trip helped to right my perspective on so many things in life. We are profoundly blessed. Alright! Hopefully you all now feel like you know a bit more about me! Here are my nominees (I liked Little Sunshine’s questions, so answer these same questions if you choose to accept)!